encore Deals! 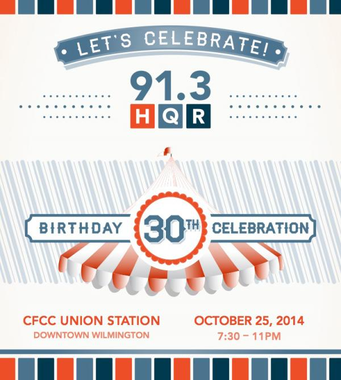 | WHQR's 30th Birthday Party! Join us for an evening of fun – a carnival-themed birthday party celebrating WHQR – at CFCC’s Union Station Ballroom (502 N. Front Street). For questions or more information please call the station at 910-343-1640. Sponsorship opportunities still available, email sales@whqr.org for more info. *This event is 21+ due to open bar.